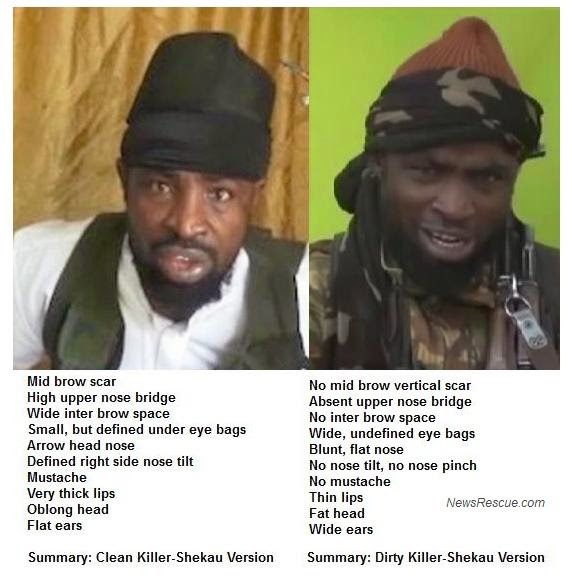 In May of 2014 after Boko Haram abducted 234 girls from Chibok in Noerth Nigeria, we provided side-by-side picture comparisons which fully exposed the differences between the new Shekau II who released the videos and the original Shekau I declared wanted. So many media local and international rejected our position. CNN on May 13th of 2014 denied our claims as supported by Nigerian Government’s intelligence position; they wrote: “The man identifies himself as Boko Haram leader Abubakar Shekau. Nigerian officials disputed that claim on Monday, arguing that Shekau is dead. Other experts say the notorious terror group leader is still alive. 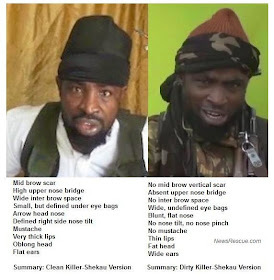 However shockingly erroneously, CNN compared Shekau II to an edition of him in August of 2013, after the new impostor had taken over, and did not responsibly compare the new person to editions of Shekau I between 2011 and July of 2013, which were clearly a different person. 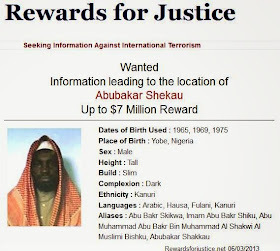 Our accurate updated information on the whereabouts of Shekau I, derived from careful analysis of all past video and picture images of Shekau, determining authoritatively that an impostor appeared in all post August 2013 releases by Boko Haram and their affiliates, was essential and invaluable towards asserting the strength of the group, and phase of security departments in the war on terror and for determining US strategies of involvement. 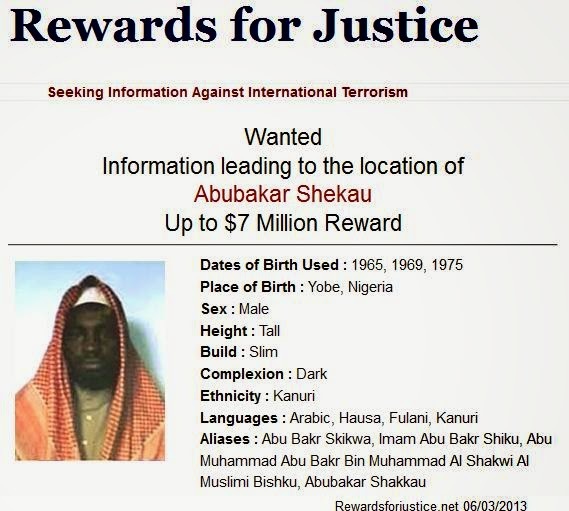 Today the Nigerian government is announcing the likely killing of Boko Haram leader Shekau II. There are images of his body for careful analysis and his physical carcass genetic studies to confirm that this person is an impostor as we accurately proved. Several experts including Australian negotiator, Stephen Davis have now asserted and confirmed our asserted publications, that Shekau I died since July of 2013. In light of the new evidence, we believe ENDS deserves the US reward for clarifying with detailed analysis and pictorial evidence the location of Shekau I – Dead and buried. Our press releases categorically informing the world of the impostor taking up the deposed leader’s role, were essential in the fight against Boko Haram who depended on portraying the real Shekau as still alive to maintain moral, confidence and loyalty of its members. We look forward to the initiation of the compensation process for our invaluable role.